Bigger on the inside, the Tardis is one of the most iconic items/creature/things from Dr Who. I've been wanting this wonderful machine for a while so that my figures may travel between time and space. Now these don't come up for sale very often as they do not manufacture them any more. I was able to get mine when they restocked at Retro Space - a local hobby shop. Now this Flight Control Tardis belongs to the eleventh Dr and my personal favourite whose played by Matt Smith. Unfortunately it was a little worse for wear with some scratches on the top and very old looking cardboard on the interior. However I am not complaining as this was a long wished item. 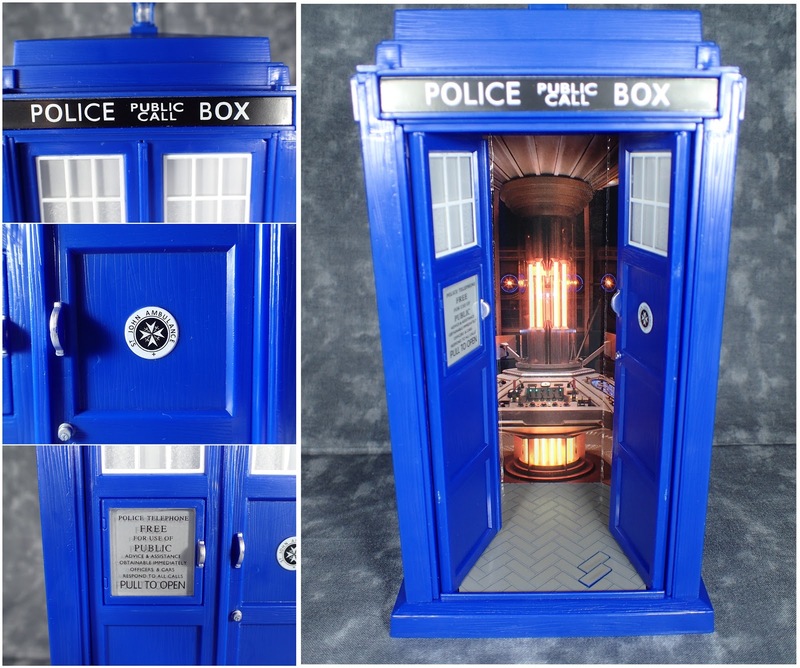 Now because this is a Flight Control Tardis it has some special features when you load it with batteries. 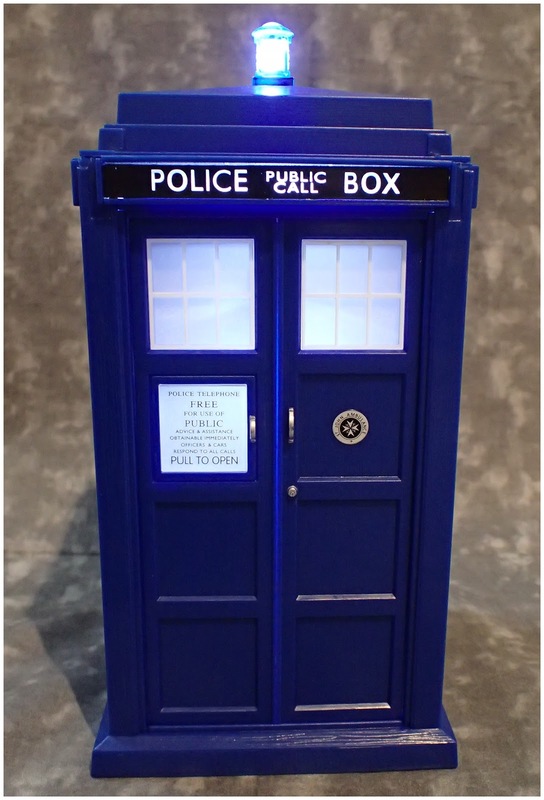 It makes several iconic Tardis flight noises and it lights up! Over all I am soooo happy to finally have this - a definite must have for any Dr Who fan.